Permethrin 5% Lotion is an effective anti-parasitic medicine used to treat infestation of lice, ticks, fleas and mites on the scalp and the skin. 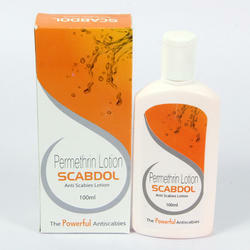 It is also used to treat scabies in adults and children. It is used externally on the skin in the form of Lotion. 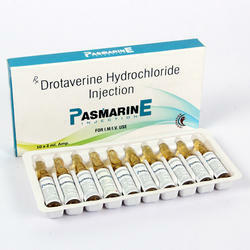 Pasmarine IV (Drotavarine 40mg) Injection is an effective medicine to treat spasm or twitches of the smooth muscles in the stomach and heart. It is used to relieve pain caused due to irritable bowel syndrome, headache, menstrual periods, and is also used to relieve cervical spasm during labor. We are engaged in providing Pharma Franchise In Madhyapradesh. 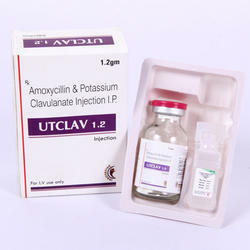 Offered products are formulated by chemists at well-equipped laboratories. Our franchisees offered a wide range of pharmaceutical products like capsule, tablets, and syrups. Also, we provide additional offers and schemes, quick effective medicine. We are among the reputed organizations, highly engaged in providing an optimum quality Pharma Franchise In Bhopal in the market. The offered product is processed under the direction of chemists with following industry guidelines. 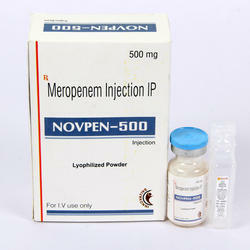 Further, the range of pharma product is offered at the nominal price. With the support of our professionals, we are offering a wide assortment of Pharma Franchise In Satna. All our products are prepared in accordance with industry laid norms and highly appreciated by the patrons across the region for additional offers and schemes, easy delivery of products and pure quality products.